[By Nick] If you recall, The Fresh Market sent me home with a few pints after my tour last month. I've already covered their gelato I grabbed so that leaves me with some Gelato Fiasco that Dubba has yet to cover and a pint of Phin & Phebes. Seeing as P&P have yet to make an appearance on the site, let's give them their moment in the spotlight. Phin & Phebes is a company that has been on my radar for a while. They're out of Brooklyn but haven't been available in my part of NY. When I saw them at The Fresh Market, I was pleasantly surprised to say the least. I really didn't have a hard time choosing which flavor I wanted either. You all know I love peanut butter (I mean I am giving free jars of it away here) and I've wanted to try their Peanutty Pretzel since they announced it last year. Home with me it went and now it's time to break into it. The smell that came from this ice cream upon removing the lid is just like opening a jar of peanut butter. You can see that it's obviously a peanut butter base from the color and there are some pretzel bits sticking out. We're definitely off to a good start. The peanut butter base is on the sweeter side with a nice salty bite at the end. While not the best peanut butter base I've had, it's definitely respectable. The pretzel bits surprisingly maintain a good amount of their texture and add on to that sweet and salty combo with a little bitterness from the chocolate. However, there's one big problem with this ice cream: The texture. It's not creamy or even smooth. I thought my freezer was set a little too high so I let it sit out and it didn't change things one bit. The ice cream is actually gritty but not in a freezer burnt kind of way either. I actually enjoyed the grittiness of the retired Edy's MAXX line but this is not even close to that. It's as if the ice cream didn't get churned properly or something. It's been awhile but I think Arctic Zero's texture is actually better than this one. I don't think I've had something this bad since my experience with Iskream. We try to be nice here and look for the bright side in a product. Don’t get me wrong though, the flavors are pretty good. However, there's no redemption for that awful texture. I'm not sure if I somehow got a bad pint but I'm glad I picked up three flavors of Gelato Fiasco instead of grabbing another P&P flavor. At over $7 a pint, I would have been ticked that I paid for this myself and now I'm hesitant to give any of their other flavors a try. Such a shame because I had such high hopes for this company as well. Buy Again? I doubt I'd buy another one of their flavors with my own money to be honest. Dubba's Note: This is a great time for everyone to chime in with their feelings on Phin & Phebes. Please tell us this was all a fluke... it has to be a fluke right?? I'm a huge fan of their banana whama, coconut key lime pie and cinnamon vanilla flavors. I've not had the same problems with texture as Nick. I've noticed their mix ins are spread quite consistently throughout their pints without big, gaudy pieces. 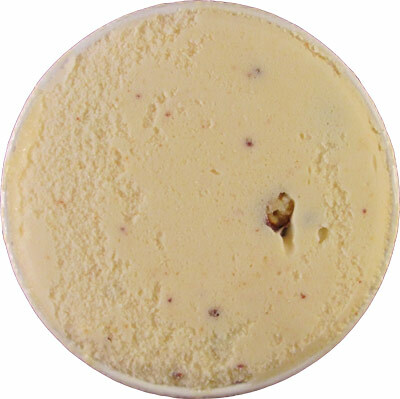 The ginger flavored pint is very unique with a lot of ginger flavor in the base.Ginger lovers (not talking day walkers) should take note. The peanutty pretzel flavor was actually just reformulated, and pints with an expiry date past 10/9/15 are the new, more peanuttier base formula. Peanut Butter ice cream and peanut butter milkshakes are my favorite food in the world. I wish more companies would make peanut butter ice creams. I wish this product was available in my area. You mentioned that the texture is gritty, so I have a question. I once bought a Frosty from Wendy's, froze it, and when I let it sit out to a creamy consistency, it tasted really gritty. I also had another experience with gritty Cookies and Cream ice cream from a purchase at the Dollar Tree. The worst thing is gritty ice cream. What causes it? Your review is based on the fact that you most likely got a pint of ice cream that was compromised at the store or distribution level, which are both out of our control. The ice cream could have been left out, melted and refroze - which is an all too common scenario in stores. While it’s unfortunate that you got a pint of ice cream with quality issues - this post doesn’t do the real thing justice. Our ice cream is some of the creamiest you will find. Stride, the grittiness you're mentioning deals with freezer burn. Basically when ice cream melts, it loses the air the was whipped into it and when it refreezes it builds ice crystals causing the girl. Wish I'd seen this review sooner....I bought a pint of this a couple weeks ago and it was the grittiest ice cream I've EVER had...gross. Not only that, I posted about it on their facebook page and my post was deleted! This is a company that obviously doesn't care about customer satisfaction. Got a pint of the Coconut Key Lime with a 9-13-15 exp and 25-40 at the Delray Beach, FL Fresh Market. It was gritty throughput as though there were micro ice crystals. I looked up reviews to see if the problem was experienced by others. Uggg, that's a terrible date. Keep in mind pints usually go out 12-18 months from when they are produced. Then the ice cream was shipped in from another store as the Delray Fresh Market is only about 2 months old. Dubba/MattB, I see nothing wrong with the date since that means it's not supposed to expire until September of next year. I'd advise contacting Phin & Phebes with your problem. Though it seems the grittiness seems to be a common theme with their products. HAHAHAHAHA, I forgot what year it was! I'm gettin' old! Mine had the same awful, dry texture. I had to throw it away. I doubt it's an issue with the store as I've never had that problem with any other brand. I won't buy from this company again. So disappointing- mine is gritty too and the tiny bits of pretzels are soggy-the vanilla cinnamon is delicious though- weird. 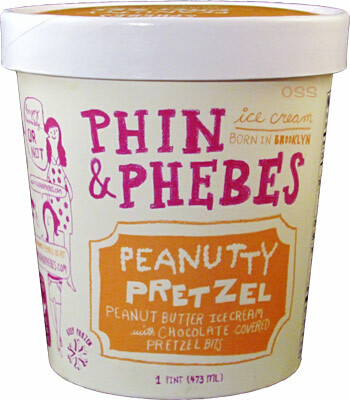 Guys, please give Phin & Phebese another chance with a review of the Vanilla Malt Cookie Dough! They are right when they said it is the creamiest ice cream ever. I killed that entire pint, in like 10 minutes and regretted nothing. I plan on trying their cookie butter blondie flavor, that has a cookie butter base and chocolate-coated pecan blondie chunks! I doubt that it'll dethrow Ben and Jerry's Speculoos for me, but I'm still getting it this weekend. As far as this peanut butter one is concerned? I can't comment on it, as I don't eat peanut butter at all. Well, I'm happy to report that I loved Cookie Butter Blondie! I just would've liked a little more speculoos in the base, though I definately tasted it. The blondies used were out of this world delicious but I think I got a bad pint because they weren't chunks, they were big CRUMBS. Their malt cookie dough isn't like that with their chunks, so I dunno. I'll have to buy another pint next week to find out. The pecans added a nice toasty nuttiness, but the dark chocolate was virtually nonexistant. This, I had no issue with, because I get tired of chocolate chips/chunks/flakes in ice cream tbh. Those are take-it-or-leave it for me. I would love to see someone from this site review this flavor though, because I really wonder if I got a bad pint and the blondie chunks are usually bigger. I don't have access to P&P and I'm not shelling out big bucks to order online from a company that doesn't like us anyway. Wait, should I not say that outloud? hey, if i could find it for under five bucks in my area, yes, I would certainly try it myself, but I'm not paying double to buy it online. In response to the poster above regarding the Cookie Butter Blondie, I bought a pint last night and there was not one single chunk in the entire pint. It just appeared to be cookie flavored ice cream with VERY few TEENY TINY darker morsels that you had to search for. With that said, the taste and texture were both good, but it was overall a complete disappointment because I was expecting some chocolate/pecan/blondie "stuff". I actually assumed I got a bad batch and they forgot the "mix-ins", but guess not. Just googling around to see if others have also had disappointing experiences with this brand. I'd never heard of it and eagerly grabbed it when I saw the banana flavor. You don't see too many of those and I've had awesome ones in the past - Steve's and 711 brands (really!). I guess this is too bland to call "awful" but there's almost zero flavor, or wafer pieces. Basically just tastes cold. I'm not the sort of person who spends $7 for a pint of ice cream so I'm pretty irritated. Obviously won't be buying again! 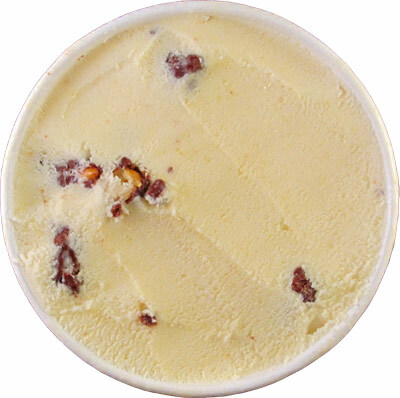 I just tried the Pistachio Honeycomb flavor, which I purchased from Wal-Mart (NC), and was so disappointed. Very gritty texture, almost non-existent pistachio flavor, and no honeycomb candy pieces. There bits of liquid honeycomb, which made me wonder if the pint had melted. I was excited to try a new brand, but I won't get it again.